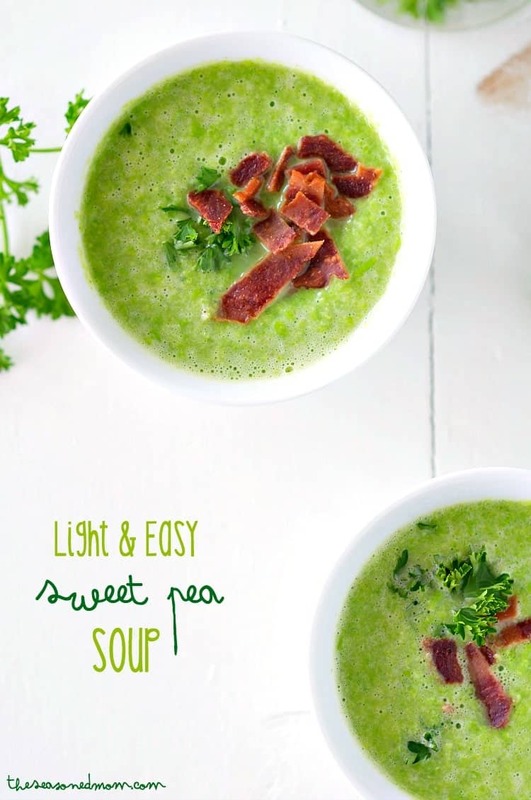 A super easy light, and delicious sweet pea soup that's ready in only 20 minutes! 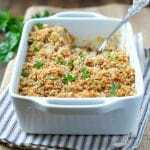 Creamy, healthy and low calorie. Serve with crispy bacon and crusty bread for dunking. 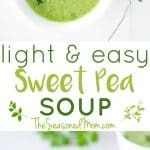 For an easy weeknight meal or a simple make-ahead lunch, your family will love this Light and Easy Sweet Pea Soup! 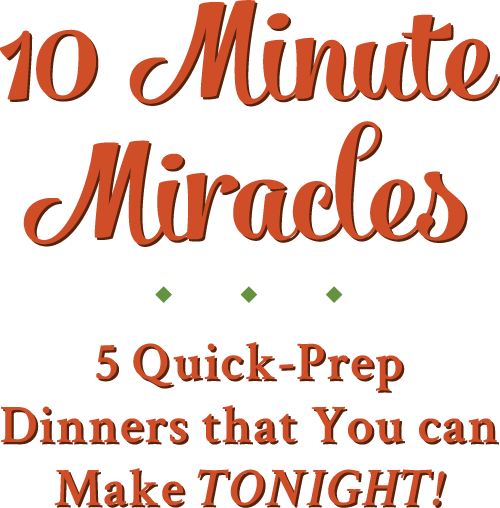 It’s a 20-minute vegan, clean eating, and healthy dinner that everyone can enjoy…and it’s perfect for spring! 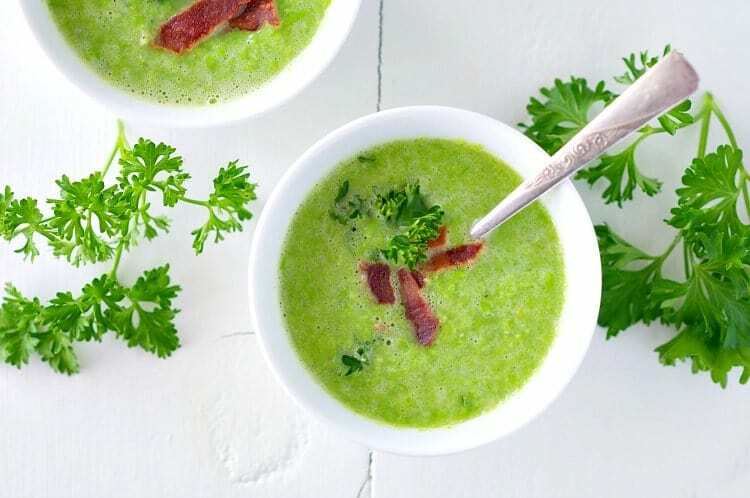 This is the best quick and easy spring meal, in my opinion — since we’re somewhere between the winter chill and the blazing summer heat, the soup is a great middle ground…you can heat it up for a warm and cozy dinner, or you can serve it chilled for a light lunch. 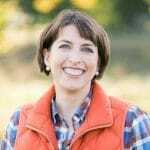 Use the weather (and your mood) as the guide! And no matter how you choose to enjoy it, at a mere 100 calories per serving, it’s a great way to get in shape for bathing suit season! Should I Use Fresh or Frozen Peas? The simple answer is either but I recommend using frozen for this recipe. The thing is peas are frozen within minutes of harvesting so they are super fresh, delicious and keep most of their nutrition. You can, of course, use fresh when they are in season but it’ll likely cost a little more and will add a little more prep time too! Sweet onion & garlic: these give a wonderful flavor to the soup, make sure to use fresh garlic and not powder! Blue Diamond Almon Milk: I love this milk for the quality and taste. Make sure to buy unsweetened for this recipe. Bacon: for topping: this is optional but adds extra flavor and crunch. Creamy, healthy & low fat! So what’s the trick to making a smooth and creamy soup that’s still dairy-free and low in calories? 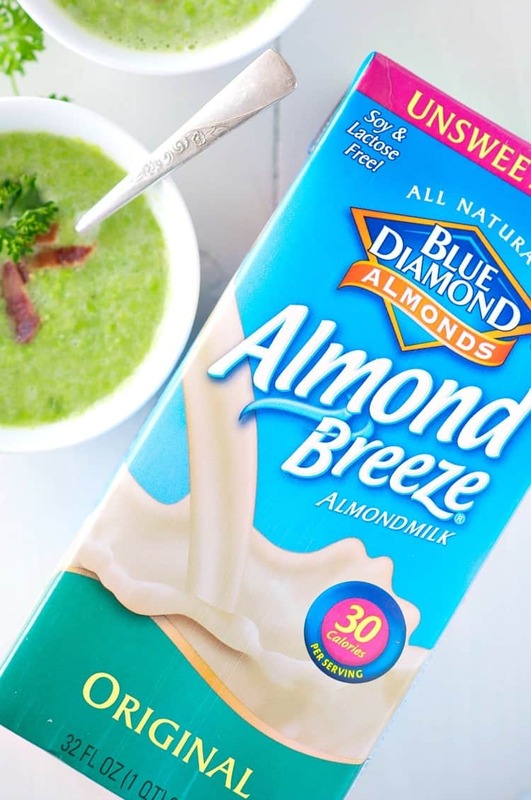 My favorite Blue Diamond Almondmilk! You’ve seen me use this beverage about a zillion different ways in smoothies, but it’s also awesome for more savory dishes…like soup! 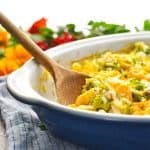 It adds so much richness to a dish, but it only has 30 calories per 8-ounce serving. Love that! Plus, thanks to the peas, there is plenty of protein and fiber in each bowl to keep you feeling full and happy for the rest of the afternoon or evening! Sauté onion in oil until tender. Reduce heat to low, add garlic and peas, and cook just until warm and tender. Transfer onion and pea mixture to a blender. Add vegetable stock, almond milk, and nutmeg. Puree until smooth and combined. Taste, and then season with salt and pepper, as necessary. 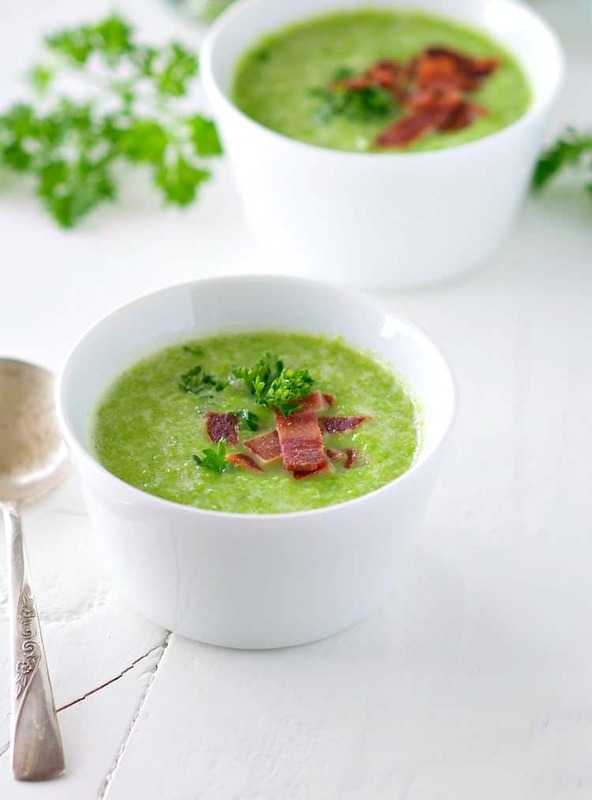 Serve warm soup in individual bowls and garnish each with crumbled bacon and fresh herbs. And if you’re not worried about keeping it vegan, I highly suggest adding some crispy, crumbled bacon to the top of your bowl. It’s the perfect salty and crunchy contrast to the sweet and creamy soup! Serve with some crusty bread for dipping and you have a light, healthy, and very satisfying meal…in about 20 minutes. Can’t beat that! In a large skillet over medium heat, sauté onion in oil until tender (about 5 minutes). Reduce heat to low, add garlic and peas, and cook just until warm and tender (about 2-3 minutes). Transfer onion and pea mixture to a blender. Add vegetable stock, almondmilk, and nutmeg. Puree until smooth and combined. 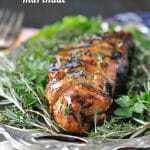 Previous Post: « Our Celebratory Sunday Supper! 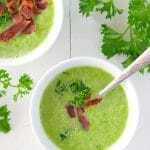 Pea soup always reminds me of my Grandma, as she made the best split pea kind! I’ve never had a sweet pea version like this. I love the pretty color and how easy this is to make! Just perfect for spring! Love this light and delicious soup, Blair. So pretty and the bacon topping is just perfect! I love almond breeze and sweet peas! People think I’m crazy, but I put them in everything. My salads and even my eggs! 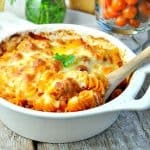 MUST make this for lunch!! My hubby hates peas but I love them. This soup is totally do-able for my multi-talking lunchtime routine! You are soooo smart. Yes! That’s what I did, Chrissa — enjoyed it for lunch all week. SO good!